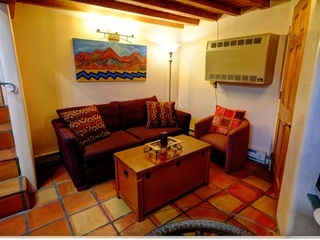 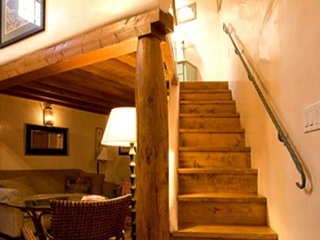 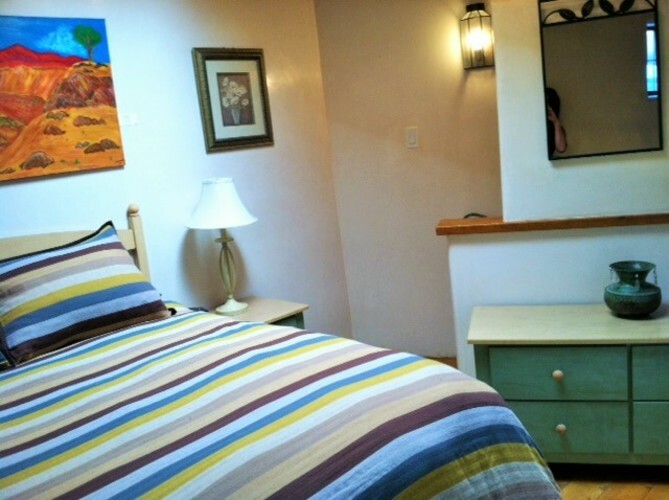 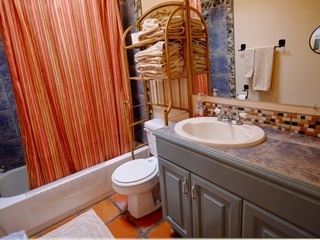 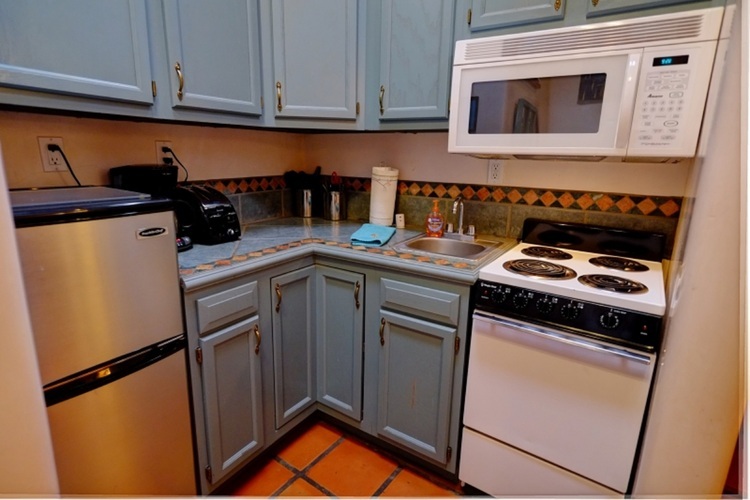 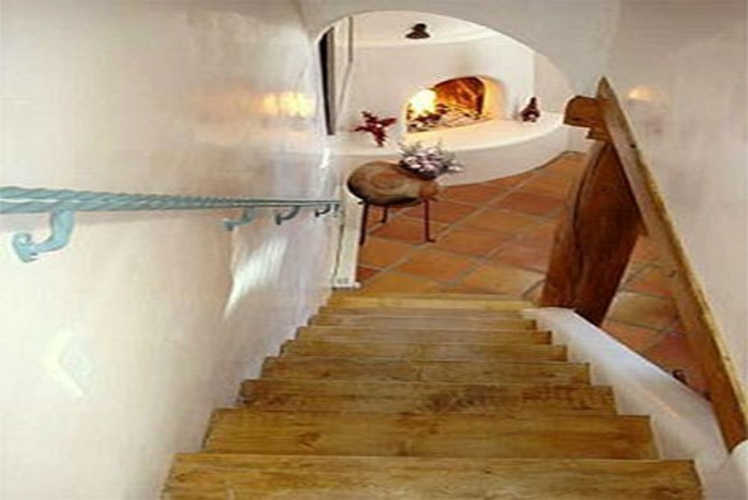 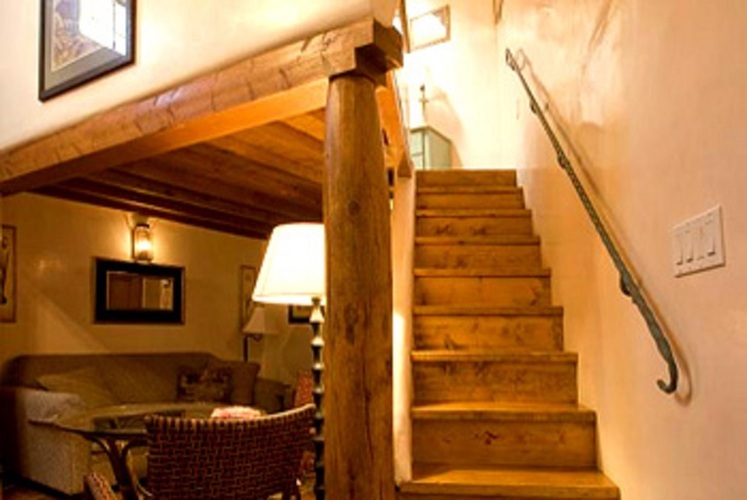 Casita G is a romantic 600 square foot. 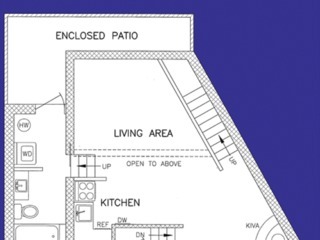 It is not for those that are weak in the knees as it does have three levels. 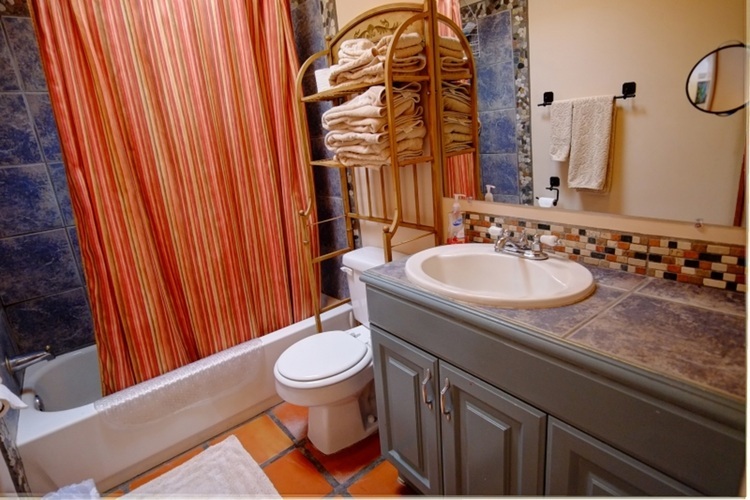 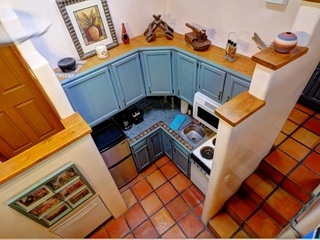 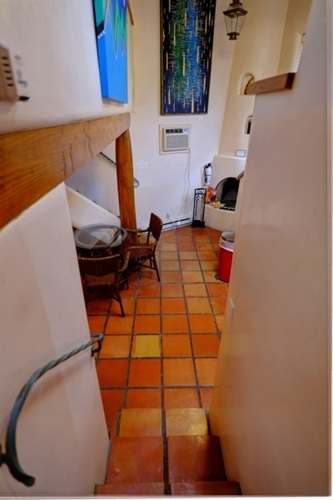 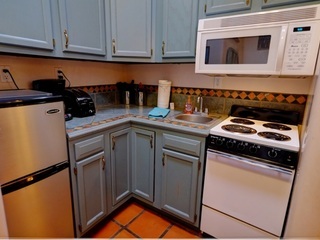 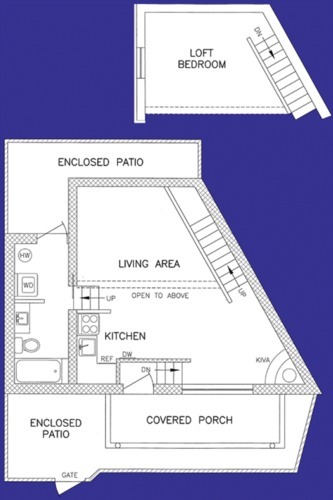 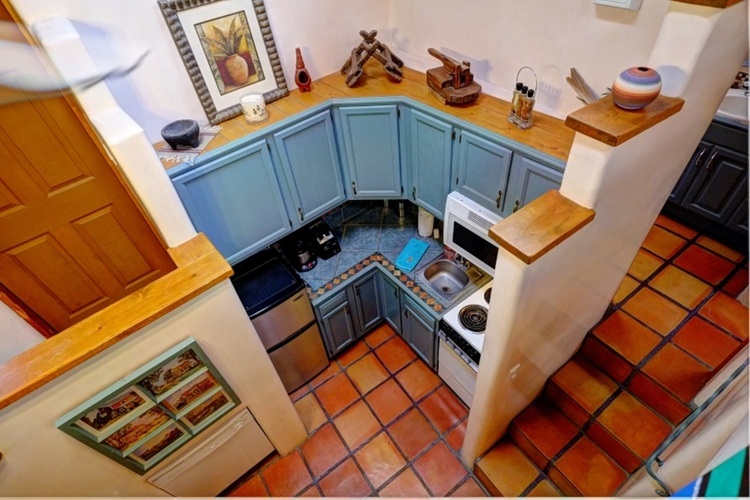 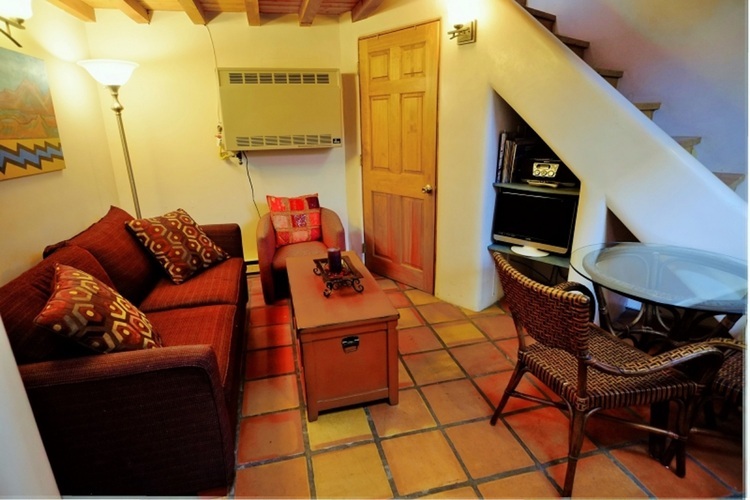 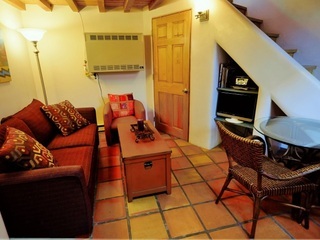 Comfy and cozy with one bedroom/one bath, split level loft with a wonderful exposed viga ceiling. 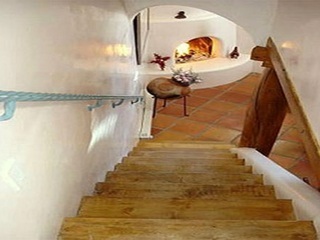 The kiva fireplace is located in the corner, providing a warm ambiance throughout. 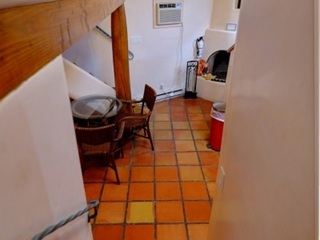 It has wonderful exposed viga ceilings and a kiva fireplace located in the corner. 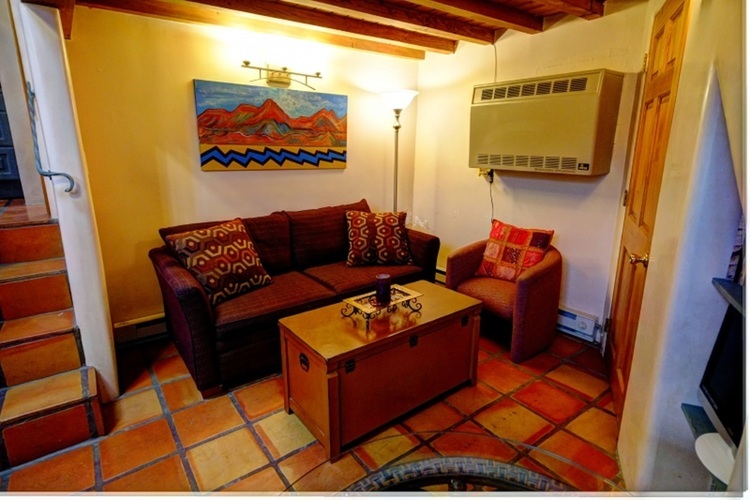 The enclosed patio and covered porch are the perfect place to relax after a day spent walking to Santa Fe’s many galleries and museums.